You're having a bad day, everything that could go wrong, has gone wrong, leaving you feeling emotionally overwhelmed, irritated and stressed out. Your mind chat is out of control, your body is tense, your breathing is shallow your heart is beating fast and your seem to be stuck in overdrive. What do you do to relax and unwind so you can bring your body back into balance? You have heard about all the warnings that have been given out about the dangers of stress, worry and negative emotions and you know you need to take a chill pill and put your feet up and indulge in a bit of me time. You may already know some of the many benefits of relaxing. Such as. Because there is not a better feeling in the world than when your feeling relaxed and at peace with yourself and the world. If you do not make time to relax and unwind at the end of your day. Then you will take with you, all your stresses and emotional baggage through with you into the next day. We pick up, where we left off, the night before, plus. If you go to bed feeling stressed and emotionally overwhelmed, then the chances are, you will have a restless and poor quality night's sleep. As we all know, poor quality restless sleep can lead to bad and irritable moods, which can have a negative effect on your performance at work, it can reduce your concentration, play havoc with your memory and leave you feel disempowered, unmotivated, fatigued and uninspired. Poor quality sleep has also be linked to many emotional issues and experts suggest that it can even cause weight gain. When you are suffering from lack of sleep and emotional overwhelm, this can increase your stress levels which can lead to other emotional problems like anxiety and even depression. If you set aside twenty or so minutes to relax an unwind just before you go to sleep. Then, your stress and anxiety levels will begin to decrease, and as you begin to experience a deep sense and feelings of relaxation. You will soon find yourself dropping of into a deep and highly beneficial sleep. Because you will feel relaxed, tranquil and at peace as you drop off to sleep. You will experience, a good quality restorative and restful peaceful night's sleep. And because you fell asleep feeling blissfully relaxed, you will wake up feel relaxed, energized, empowered and ready to take on the world and everything the day can throw at you. 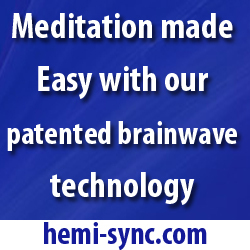 We have all heard the many health and emotional well-being positive benefits of meditation, and relaxation is a necessity and one of our basis human needs.